Complex problems often require complex solutions, and our expertise in Project Management is a critical factor in our success. The SBM Program Management Office (PMO) encompasses a centralized coordinated Project Management methodology to achieve program/projects strategic objectives. 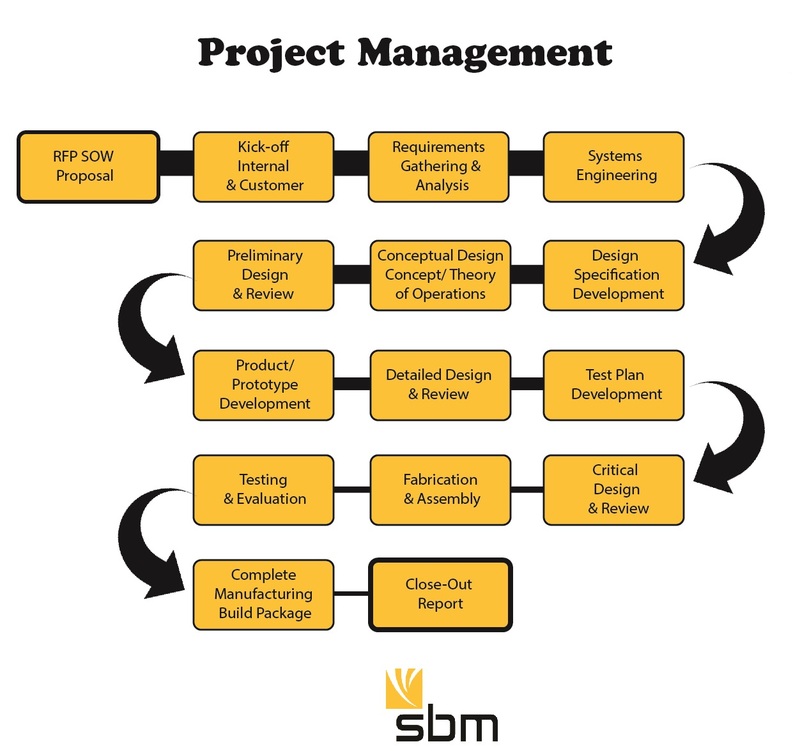 SBM follows a project lifecycle management methodology, beginning to end, that is modeled after the Program Management Institute’s (PMI) Program Management Body of Knowledge (PMBOK). SBM has certified Program Management Professional (PMP) on staff as a part of the PMO and to support all project team efforts. The SBM Project Management Lifecycle Process is the “How Do We Operate” guidelines for oversight and management of our programs and projects cradle to grave. Each program goes through a Planning Phase where objectives and tasking are clarified, work breakdowns are created, schedules are developed, and adequate or required resources are evaluated. During the Execution Phase, the project is monitored to ensure scope, risk, quality, schedule, and cost are with in controlled parameters. Throughout the project, the project management team also provides compliance oversight as well as ensuring communications and reporting to the projects customers; internally, and to other external stakeholders. Finally, the project goes through the Closeout Phase in which an evaluation is performed to ensure that all objectives are met, all deliverables and documentation have been provided, the customer is satisfied, lessons learned are discussed, and the project is successfully closed.